It has become apparent to many music educators that bell kits, which are commonly used by beginning percussion students present many problems. Students dislike them, their tone is poor and the “miniature sized keys” inhibit technical growth and render the instrument useless past the first year or two of instruction. In the past few years midsize (3 octave) practice marimbas have become a popular alternative. While an improvement over the bell kits, these instruments still do not address two major problems with student percussion instruments: portability and affordability. Most 3‐octave practice marimbas cannot be transported back and forth to school, making them useful only for at home practice and requiring a second instrument for in school use. The modular design of the BARIMBA represents a completely new approach to student marimbas. The BARIMBA can be used in 3 different sizes, allowing it to meet the needs of student percussionists at each stage of their development. When ready for a larger instrument, the Starter is upgradable to a 3- octave instrument. Students will not need to purchase a new marimba but simply upgrade the frame on their current instrument. 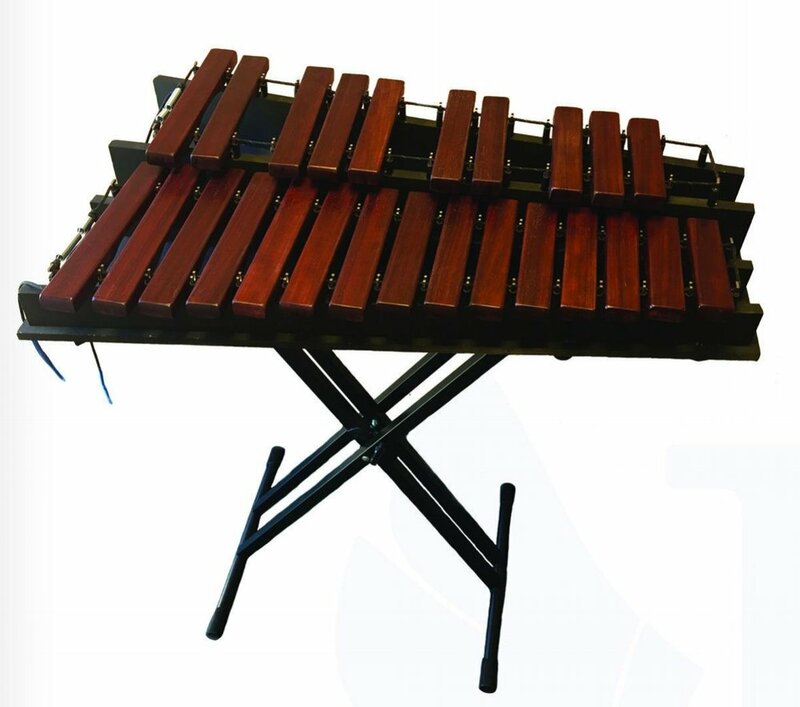 The 3- octave BARIMBA is the finest 3‐ octave practice marimba on the market today! When the need for a larger instrument arises, students possessing most 3‐octave student marimbas will need to purchase a new instrument to replace their current version. The BARIMBA allows students to upgrade the instrument they currently have to a full 5 octaves.